The proponents of string theory seem to think they can provide a more elegant description of the Universe by adding additional dimensions. But some other theoreticians think they've found a way to view the Universe as having one less dimension. The work sprung out of a long argument with Stephen Hawking about the nature of black holes, which was eventually solved by the realization that the event horizon could act as a hologram, preserving information about the material that's gotten sucked inside. 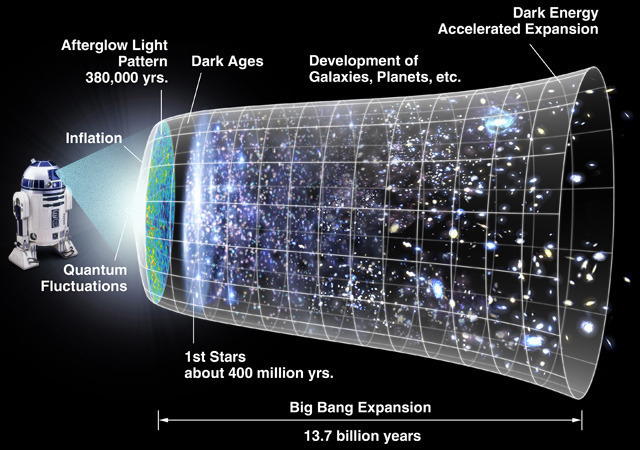 The same sort of math, it turns out, can actually describe any point in the Universe, meaning that the entire content Universe can be viewed as a giant hologram, one that resides on the surface of whatever two-dimensional shape will enclose it. That was the premise of panel at this summer's World Science Festival, which described how the idea developed, how it might apply to the Universe as a whole, and how they were involved in its development.